In a previous issue we talked about the importance of creating a personal pictorial language. I believe that there is one of the keys to what we call artistic creation. Just as the art of oratory implies knowledge of the rules of dialectics and rhetoric, clarity of ideas, structure of discourse, or the use of gesture (or silence) at the given moment, the use of the language of art goes beyond a trivial search for what is fleetingly modern or to extend itself in demonstrations of convincing techniques. It is a question of combining in the artistic work, the personality, the acquired experiences, and the intuition with greater conviction and coherence. Beyond its power of conviction and the talent of the artist, the result will undoubtedly be an original character. Towards the end of the 1920s Europe tried to forget the tragic memories of the great war with drink and the rhythm of Charleston. 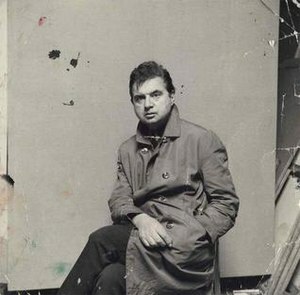 A young Irishman named Francis Bacon, raised under the authoritarian dictation of a father without love, departed from his home to discover and admire the pursuits of avant-garde French art that demolished traditional schools. The crazy years implied new ideas that the Cubists and the surrealists knew to condense giving new directions to the artistic searches of the moment. Bacon, who had no academic training found in these sources the guiding compass of his hesitant pictorial beginnings. From their first paintings in low key, and almost monochrome, are seen figures whose faces, more or less grotesque, see mouths in need of air, they let out inaudible shouts in hermetic boxes, bodies in situations of clear physical discomfort. Although his self-portraits arrive late in his painting, it is obvious that Bacon uses his paintings to reflect his spiritual fatigue, his inner torture, his need for rebellion, his chronic asthma. Bacon starts from a chaos (internal) to the search for an (external) order. The dominant element in the created space is the figure (organic element) in a context that tends to the geometric order (tectonic element). The human figure appears in his paintings with animal characteristics, his animal figures in turn appear sensibly humanized. Both are irritated, unstable, distressed, isolated, tense. The box / cage space is related to both focusing the composition and giving the situation an almost narcissistic exhibitionism. Bacon is often inspired by works or photographs from the past to make his present. Rembrandt, Velazquez, Tiziano, Muybridge, Eisenstein, Soutine, Giacometti, Picasso do not fail to suggest ideas and admiration. They are the starting point sometimes of series of paintings for years, nevertheless we look almost in vain for their influence. It does not matter that there are other names at the origin. Little is left, everything has changed. Over the years Bacon’s pictorial language is debugged and clarified, color selection is enlarged and saturated. His work is fighting and his personality is enough to create an imprint that has left imitators for decades. Although the aggressiveness of the treatment of the figure, the virulence of the stroke and also the construction of the space created appear to be separate from reality, Bacon uses painting as a faithful mirror of biographical aspects that only with art are visible without scandal or tampering making his to be a whole.